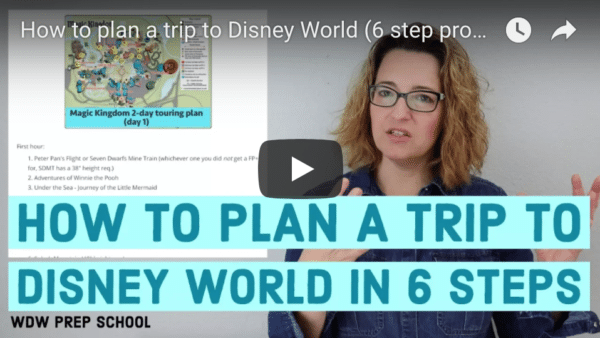 Is it possible to do Disney World without planning months ahead of time? With reasonable expectations, it can be done and I have advice on how to do that today. 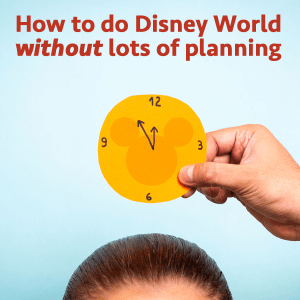 I also have recent news and a quick tip about doing laundry at Disney World resorts. Doing Disney World without planning months in advance is possible if you don't expect to do some of the hardest-to-get things (like eat at Cinderella's Royal Table or Be Our Guest), but will be easier to do during less busy times (see my crowd predictions for 2015 and 2016). Many character meals book up months in advance, but you can often find last-minute reservations at 1900 Park Fare (at The Grand Floridian), Crystal Palace (at Magic Kingdom), Garden Grill (at Epcot), and Tusker House (at Animal Kingdom). See my character meal overview for details on each. You could also choose to just eat Quick Service which doesn't require reservations. At Animal Kingdom, I like Yak & Yeti, Tamu Tamu, and Flame Tree (and Restaurantosaurus is a good option if you want to eat inside with free drink refills). At Magic Kingdom, I like Columbia Harbour House. Epcot has many great Quick Service options, including fish and chips in the U.K. section and Sunshine Seasons inside The Land building. You should try to get FastPass+ reservations ASAP, whether that's 3 days before or the morning before heading to a park. You can see all of my FastPass+ reservation recommendations and touring plans here. Magic Kingdom - this will be the hardest to do since there are so many attractions. If you have more than 1 day, that would be ideal. FastPass+ reservations for meeting Anna and Elsa and riding Seven Dwarfs Mine Train will be the most difficult to get so do those right when the park opens. After that, your priorities should be to get FP+ or ride these early: Peter Pan's Flight, Space Mountain, Big Thunder Mountain, Splash Mountain, Buzz Lightyear, Journey of the Little Mermaid, and Winnie the Pooh. Epcot - if you ride Soarin' at park opening and then ride Test Track in the single rider line, you could almost do Epcot without any FP+ reservations. I do recommend getting them if you can though. Be sure to ride Sum of All Thrills after Soarin' (if you're interested in doing it) since it doesn't have a FP+ at all and lines build fairly quickly. Hollywood Studios - you could ride Toy Story Mania at park opening, then ride Tower of Terror, then Rock 'n' Roller Coaster in single ride line without using any FP+ reservations. However, I'd recommend trying to get FP+ for Rock 'n' Roller Coaster, Tower of Terror, and Star Tours if you can. Animal Kingdom - you could ride Safaris at park opening, Expedition Everest in the single rider line, then Primeval Whirl and Dinosaur without needing any FastPass+. Free Dining is rumored to be announced this week. Here's my advice for preparing for that. Be Our Guest breakfast reservations are now available through July 18. The Pirates of the Caribbean refurbishment will begin in June instead of May. You can always find the current refurbishments on the monthly dashboards. My eBook has been updated and will be posted early this week. People staying at Disney World resorts and wanting do to laundry can use the Laundry View site to check the current availability of washers and dryers by going to LaundryView.com/DisneyWorld. Oh my gosh!!! This post is so fantastic!! I am not a planner. Not even close. We decided about 2 months ago to try to go to Disney for the first time in May- everything kind of fell in place and we are leaving Thursday! Every other site I looked at had me booking things 6 months in advance- which about makes my palms sweat booking that far in advance! Haha! These ideas are so awesome and just what I like, short and sweet!! Great information here! I also subscribed to your emails! Looking forward to them! Just booked a quick weekend trip for Memorial day (yikes). Got the three mountains at MK for afternoon fastpasses, but no BoG reservations available. Also got reservations for dinner one night at DTD. We’re holding out for a last minute reservation becoming available at BoG or just getting in line for an early or late lunch. I just booked a lunch reservation at BoG for the Sunday before Memorial Day! I had a reservation at All Star Movies for the end of September. When free dining was announced, I did try to go online to change my reservation with no luck. I also waited on hold for almost 1 1/2 hrs to change my reservations and was told that there were no value or moderate resort rooms available for the promotion. I was disappointed, but determined and thought that I would just keep trying. I got up early Tuesday morning for work and got online a few minutes before 5am (EST) and was able to get a room at Royal Guest Room at Port Orleans Riverside with the free dining. Since our plan was to upgrade to moderate anyway, it was only slightly more money that we had anticipated, and my 6 yr old daughter is going to LOVE it! !